Easy Italian Pasta Salad, made with fresh ingredients, including tomatoes, mozzarella, herbs and a delicious Homemade Italian Salad Dressing. The perfect Summertime Lunch or Dinner idea. I hope after the long cold winter a lot of you have had, spring has finally sprung. And what does that mean? BBQs and of course Pasta Salad. 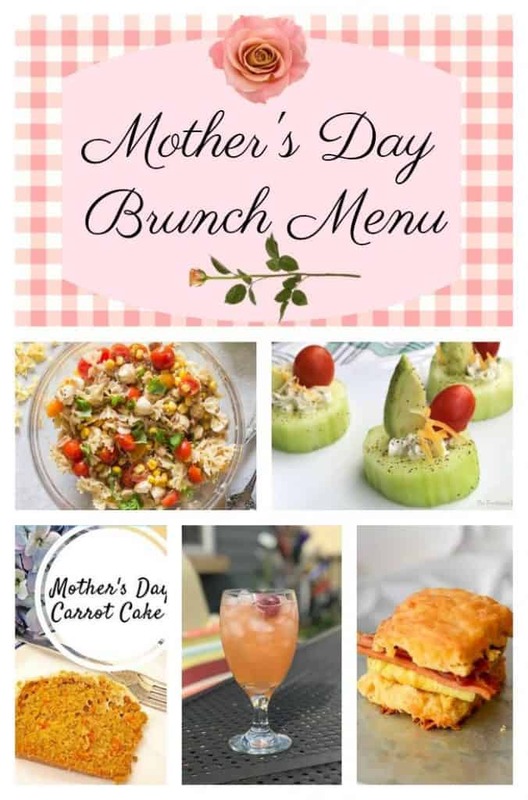 This month for my little get together with my four blogger friends we decided to create a Mother’s Day Brunch menu. 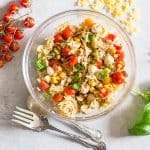 So if you are planning a buffet style brunch or even a BBQ, this simple Easy Italian Pasta Salad is the perfect addition. I make this Pasta recipe quite often in the summer, it’s fast and easy and the best way to keep your cool in the Summer. In a large pot add water and bring to a boil. Add a little salt and the pasta. Make sure that you keep the water at a full boil. Cook pasta al dente. Check the package for cooking time and taste to make sure it is cooked to perfection. 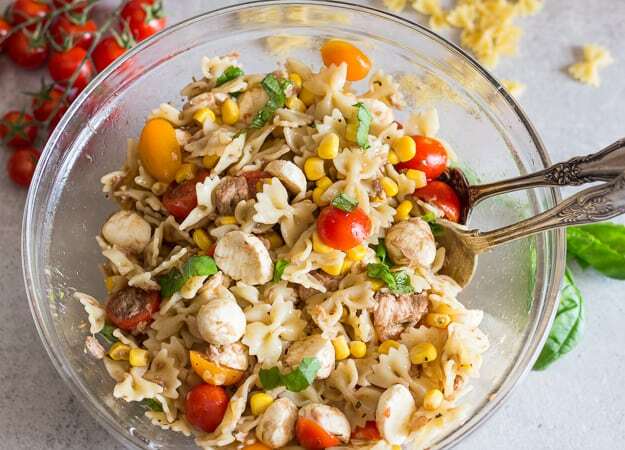 Drain but do not rinse the pasta, except when making a cold pasta salad because you will want to cool down the pasta before adding it to the other ingredients. 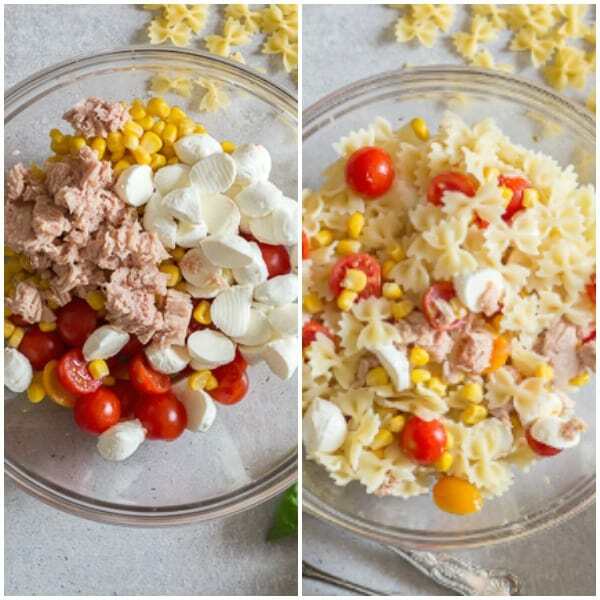 In a separate bowl mx together the tuna, corn, mozzarella balls, grape or cherry tomatoes and fresh basil. In a separate container mix together the ingredients for the dressing. Add the drained cooled pasta to the bowl and drizzle the dressing on top. More Summer Pasta Recipes you may enjoy! 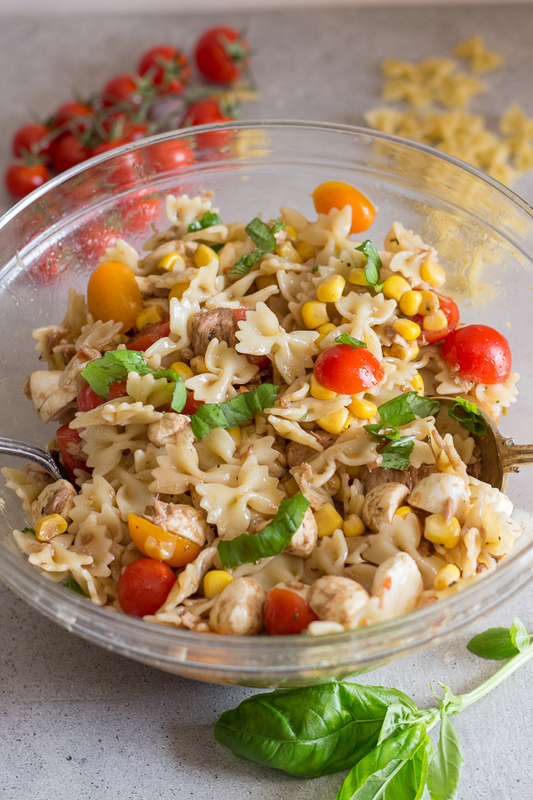 So whenever the hot weather hits or you are just looking for a quick and easy pasta recipe I hope you give this Easy Italian Pasta Salad a try. Buon Appetito! In a small bowl combine the olive oil, balsamic, oregano, salt, basil and dash of pepper. Stir or whisk to combine. 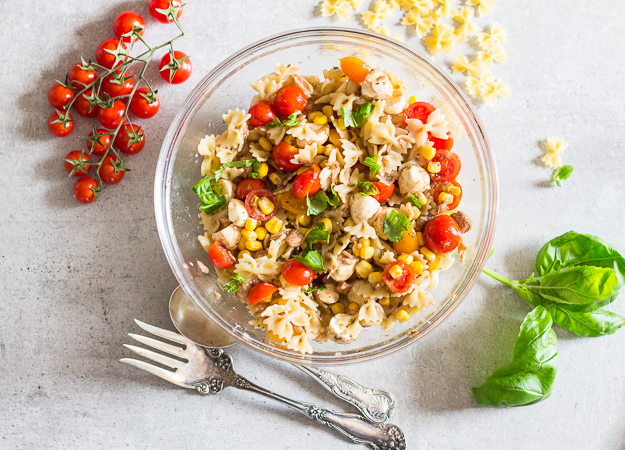 In a large bowl add the tuna, corn, mozzarella balls, tomatoes and fresh chopped basil, then add the cooked drained pasta and mix, then drizzle the dressing on top and gently combine. Can be served immediately or cover with plastic wrap and refrigerate approximately 1 hour before serving. Enjoy! 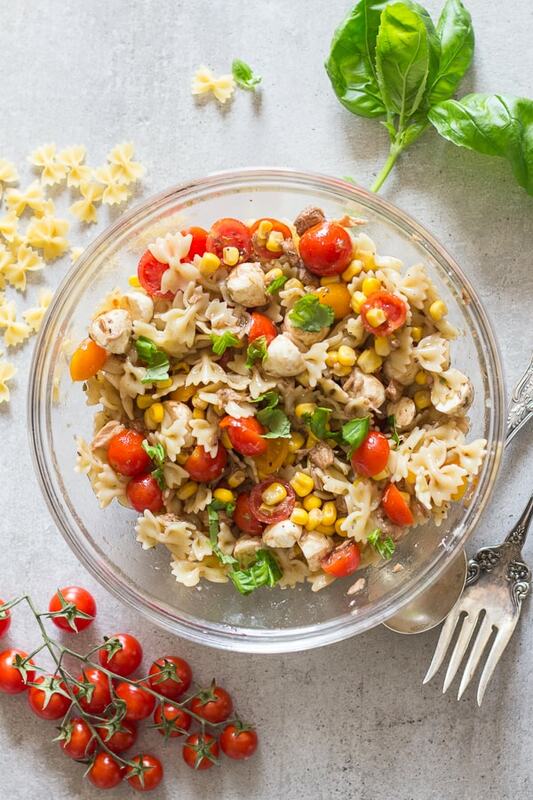 Your pasta dish looks like a lovely summer meal! Thanks for sharing! Hi Lauren, thanks so much and easy too. This is a gorgeous pasta salad! I love the ingredients! Hi Teri, thanks so much. Im goingvtontry this here in Philippines hoping costumers will like it! Hi Ernesto thanks I hope they do too. I want to know if I could replace the Tuna by something else because my mother is allergic to fish..
Hi Emilie thanks, I think a good substitute would be chicken. Hope that helps, let me know how it goes. Ooh, I like the addition of the sweet corn with the other salty elements. What a perfect summery dish!